Dr. Manhattan's Diary | This is the diary of a young Physicist… "And the universe will not even notice." توجه داشته باشید مدل بالا را برای پژو ۲۰۶ ساختیم، که دقت نسبتا خوبی هم داشت. در زیر نمودار همبستگی مشابه آنچه برای پژو ۲۰۶ توضیح داده شد به ترتیب برای پیکان و پراید صندوقدار و پراید هاچ بک را ببنید. Do you know what is the best way to cut your wood board to make a box planter? I know a way. And it was quite fun to figure that out. I needed a relatively large planter. 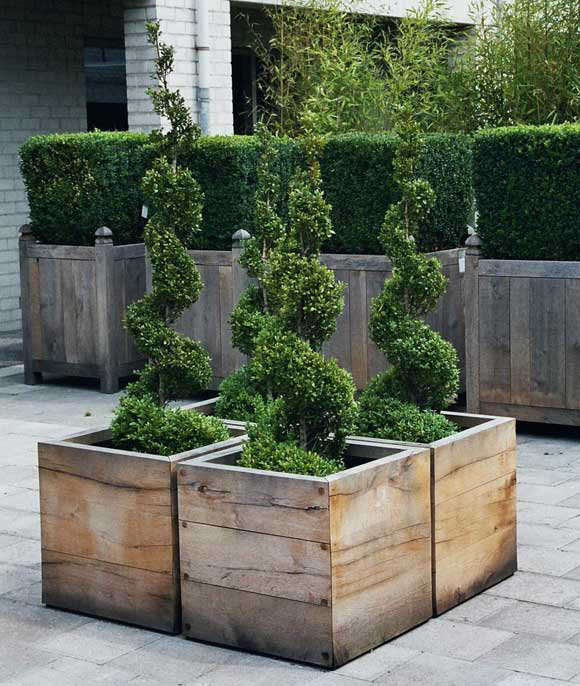 The wooden box planters look very nice to me. They don’t come inexpensive though, +$100 for the size I needed. I had a hand saw. I decided to cut some woods and make my own as a DIY project. I picked up a couple of lumbers from my local hardware store. The question was what are the perfect cuts? I wanted to cut my wood boards such that I use all my raw material to the product with minimum number of cuts. The plan was simple: make a wooden box planter from a lumber with the width of “w”, length of “L”, and the depth of “d”. You can see the schematic of the “input” and “output” of this problem in the image below: (a) Lumber, (b) Box Planter, both from top view. Below image demonstrates the perfect cutting lines on your lumber to make one complete box planter out of a single wooden board with dimensions: L, w, d.
How Much Mass-Sharing Is Actually Useful? Over the past few decades, social media has come to a new level via the vast adaptation of scale sharing platforms like Twitter and Facebook. Year after year, the global penetration index of internet and social media have been both constantly increasing and today humans are engaged in social media more than ever before. how much value this engagement has brought us as a community in a higher level? There is no doubt that information sharing has reached to a new level in terms of its fast speed and large scale. The new technology helps the national and global societies to be able to be much more informed about things which are happening around in a very short period of time. This certainly makes a huge difference in many respects, specially in some particular areas such as emergency announcements and news. Although social media can make the flow of information and knowledge, we should keep in mind that it does not design to create information/knowledge. The shared materials via social media platforms can certainly spread fast and far. Therefore provide the opportunity to educate and get educated about a vast majority of topics through connecting many people. However, this significant amount of new power in our ability for instant sharing with a large audience does neither makes us necessary more innovative nor creative in thing we don’t know yet and/or trying to discover. Sharing does not bring any innovation value by its nature. Main Stream Bias, in which the new audience always start thinking about the subject with a bias influenced by the main stream that can lead to false results. In the best case scenario, this takes lots of energy to ignore or get rid of the default starting bias, in case the required awareness is present. As a result less people think new innovative ways and more people follow and eventually get used to specific broadly shared ways. On top of that, because of the main stream bias, it can be extremely difficult to give push start visibility to new ideas and the alternatives in such mass-share platforms. Unmatched Assumptions, which can come in two main classes: (a) too generic, or (b) too specific. In many cases, the shared materials in social media are under some very specific or very generic assumptions. These assumptions may be similar but not exactly the conditions to the specific problems we are either trying to solve or getting information required for an innovation, which makes them useless for that purpose. Using the unmatched assumptions can also lead to false results and wrong directions for any follow up new idea on top of that shared material. Have we shared more/less stuff on social media over time? That would be interesting to see the graph showing the average number of tweets per day per user for the past recent years for top social media platforms. Have social media helped us to get more creative and diverse on the topics we share/discuss over time? That would be interesting to come up with metrics to quantitatively identify and analyze the dynamics of the clusters of sharing topics on social media over time. دیتا ساینتیست یک فرد حرفه ای و با مهارت با ذهنیت علمی است که از داده های قبلی و فعلی استفاده می کند تا پرسش های درست را بپرسد (و در نهایت به آنها پاسخ دهد) تا اینکه بتواند آگاهانه ترین تصمیمات آتی را در یک سازمان بگیرد. نقل قول های مشهور زیادی از افراد ارشد این رشته برای تعریف دیتا ساینس وجود دارد. هرکدام از آنها یک جنبه را از یک منظر به خوبی توصیف می کند و همه ی آنها با هم می تواند توصیف خوبی از واقعیت مربوط به دیتا ساینس و دیتا ساینتیست ها به ما بدهد. در ادامه چند نقل قول مورد علاقه ی من در مورد اهمیت/تعریف دیتا/دیتا ساینس/دیتا ساینتیست را می خوانیم. During summer, despite all the modern and old irrigation systems, many people still use portable sprinklers to water their lawns and gardens, and it’s fun! Instead of pushing a couple of buttons here and there on your sprinkler system while inside your cozy house, it is fun to step outside while keep an eye on your lawn and move your sprinkler around to make sure it covers the whole target area and everywhere get enough water as uniformly as possible. But, does it?! Among all the many sprinkler watering lovers, not many know what are the sweet spots of their sprinklers on the ground though. The manufacture companies may claim a uniform sprinkling experience via their products, but how exactly is this true? How accurate is it? Is actually everywhere on the ground gets equal watering? If not, where exactly gets more water and where less? Let see if we can figure this out starting with one of the simpler motion sprinklers namely those with one moving axis like the image above. The direction of the pressured stream of water can change from upward vertical direction all the way to horizontal directions on both sides periodically. This way it covers a rectangular area in one motion period. I drew a simple fun schematic of the situation to help setting up the situation and the parameters of the problem on your mind. Assuming that the magnitude of the initial velocity of the water stream is always constant as well as the speed of axis’s rotation, we are interested to know weather the covered ground area receives an equal amount of water or not! And if not, in what angle and what distance ground gets the most and the least rate of water rain fall. After staring at the cartoon above for a short while and probably a little bit of thinking, the question can get narrowed down to: what is the rate of the variation of X (the distance from the sprinkler to the point the water droplet hits the ground) relative to the variation of the rotational axis’ angle? Or simply dX/d\theta. Wherever this is minimum is where it gets wet the most on the ground or in another words where the X-spot moves the slowest. Assuming a typical sprinkler with the maximum range of 15ft on each side which means an initial velocity of 7m/s, and assuming g=10, one can plot the magnitude of the rate of changes of X relative to the angle theta as below. The take-home message is that the rate of falling water on the ground is not uniform and changes with the angular position. Keeping in mind the underlying assumptions, manufacturing companies who claim a uniform water distribution, may want to double check their claim with the laws of physics before putting any ads or labels out for sell and/or consulting with the legal department. In fact, according to the plot above, when the angle theta is 45 degrees on each side from the middle position, that’s when the ground receives the most amount of water. The very far edges on the covered area borders and the area right around the place of sprinkler itself are where the water hits the least. That’s exactly why I would recommend not always using the same spots/directions in your laws/garden for your sprinkler and change the bases regularly instead.